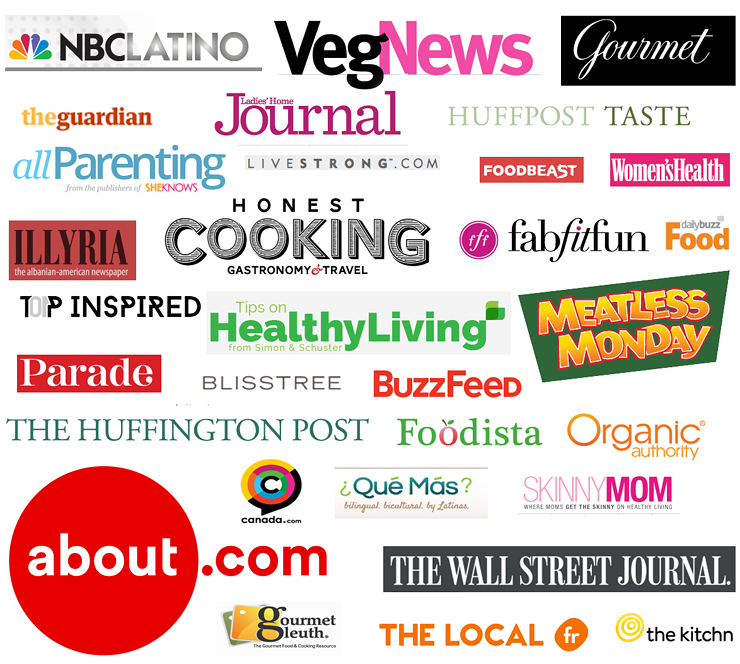 For the most part, it is I that decides what to cook and serve for our daily meals. My husband is very laid back and never complains — even when he doesn’t particularly care for a specific food. We are always honest with each other about the dishes and together we’ve improved on and developed recipes. I’m super lucky to be married to a person that enjoys food as much as I do — he even cooks and washes the dishes sometimes! On very rare occasions hubby makes a special request, and of course I am more than happy to cook and help satisfy his craving. 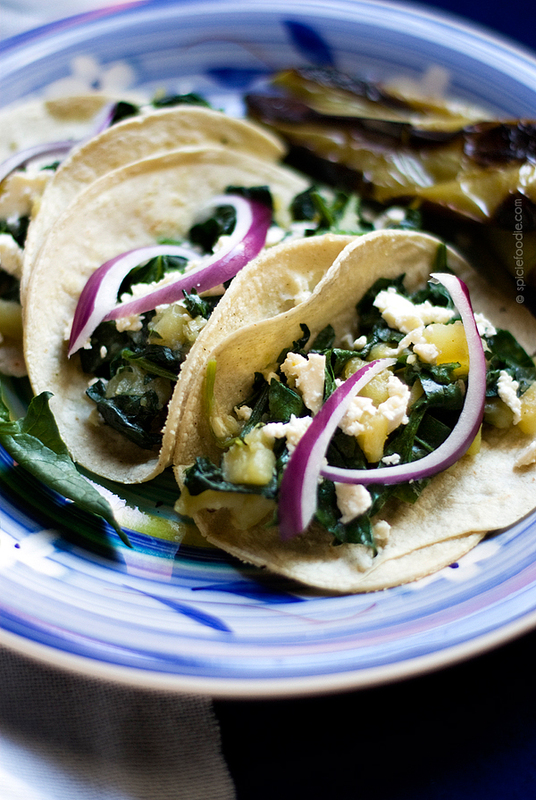 A few days ago he requested spinach and potato tacos that he saw on a website. The combination sounded like something I’ve previously seen in Mexican food, but I still looked over the recipe. The photos on the website were scrumptious and so was the recipe, now I was craving the tacos. I stuck with the basics of their recipe and made some adjustments of my own. The tacos are really easy to prepare and you’ll be surprised how flavourful such simple ingredients can be. 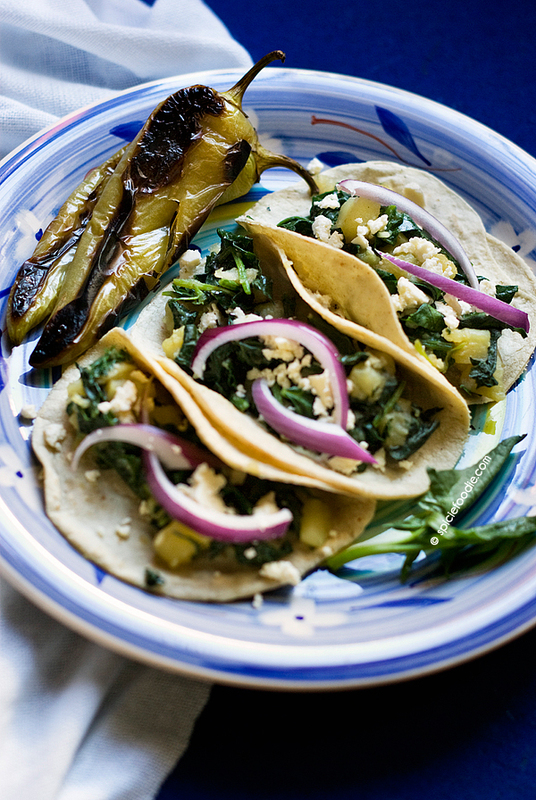 A superb taco recipe that is perfect for vegetarian or for meatless meals. Don't let the simple ingredients list fool you into thinking these tacos are plain, far from it. They are bursting with great flavours. Prepare any side dish first as the tacos are ready in a short amount of time. 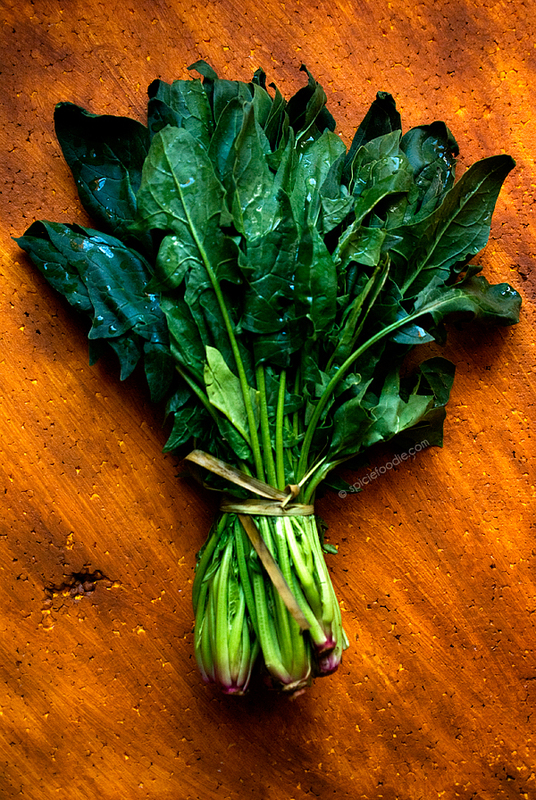 Next throughly rinse the spinach to remove any and all dirt that may be trapped on the stems. Also if the stems are really long, cut most of it off. Roughly chop the spinach and set aside. Now throughly clean the potatoes and peel them too. Cut the potato into very small bite-size pieces at roughly the same size -- this is important so that the potato doesn't rip the tortilla. Heat the oil in a very large pan, once hot add the potatoes and fry for a few minutes, stirring often to prevent burning. Next add onion and sauté until soft and translucent, then add the minced garlic, and a large pinch of sea salt. Continue to cook until the potatoes are soft and cooked through -- if needed you can add a couple of tablespoons of water to the pan to prevent the potatoes from burning. Now add the roughly chopped spinach to the pan and gently stir the ingredients. Sprinkle some ground black pepper over the ingredients and stir. Continue to cook until the spinach has just begun to wilt. Additionally you may need to add the spinach in a couple of batches as it takes up a large space. Taste and if needed add more salt and/or black pepper. Warm the corn tortillas up and scoop a couple of tablespoons into each tortilla, sprinkle some crumbled queso fresco over each taco; and if desired top with a couple of pieces of purple onion. 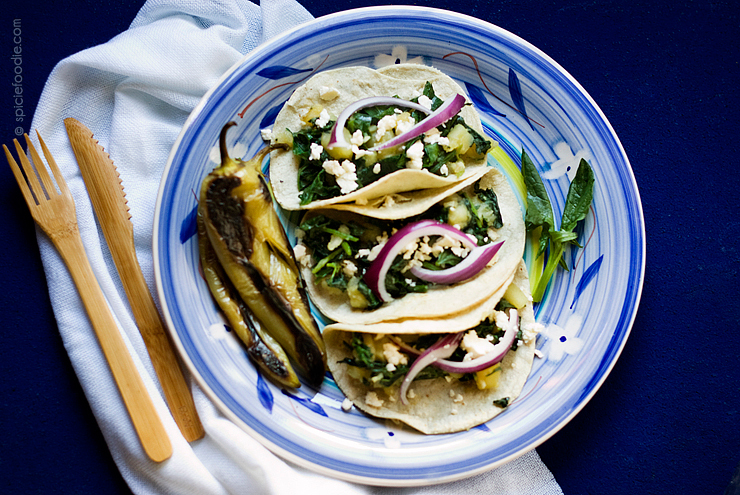 Serve from 3 to 4 tacos per person and with side dishes of your choice. Enjoy! **It is very important that the potatoes be well salted, because they combined with the onion and garlic is where most of the flavour comes from. After the potatoes are cooked through be sure to taste them and if needed add another pinch of sea salt. Though it isn’t pictured here, I served these tacos with some homemade refried beans and some grilled chile peppers. The meal was a hit with my husband and he said it was exactly what he wanted. I have to say that I quite liked them too and since we had leftovers tonight I’ll be enjoying them for breakfast tomorrow. Have a great week ahead and remember to make these tacos for any day of the week when you want to go meat free! That looks delicious! A lovely combination. Thank you Rosa! They look so simple but really are delicious. This looks awesome!!! I want these for my lunch!! I never put potatoes in tacos! I need to start. Really good stuff — thanks. Yes, you really do John, I think you’ll love the taste. Thanks! Bookmarked for trying out soon! 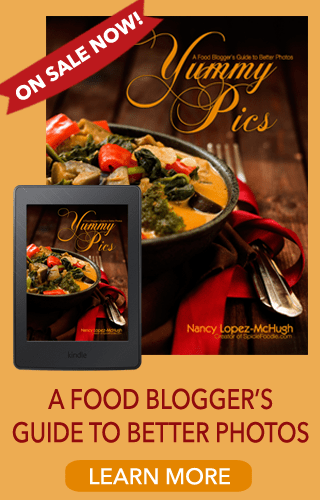 I’m always on the look out for tasty but meatless Mexican dishes. This one looks like a winner. Tiene una pinta deliciosa! Grazie Frank! Mexican food is very heavy on the meat, so it’s always fun and nice to experiment making meat-free Mexican dishes. Yes chard works perfect and green salsa is the perfect accompaniment — it’s how I’ve been serving them too. 🙂 Buen provecho, Fabi! A superb taco recipe that is perfect for vegetarian or for meatless meals, I love it. Thanks for sharing.